Ed Harris was gracious Tuesday night in admitting defeat to Mayor Kevin Faulconer, who secured his first four-year term with a dominant 58.2 percent of the vote. But Harris, leader of the city lifeguards union, wouldn’t concede a prime cause. Harris, who filled Faulconer’s seat on the City Council by appointment for about eight months, couldn’t say if he’d make another try at elective office. He said he’s within a couple years of retirement. Faulconer, meanwhile, was preparing for a longer term as mayor. He’d won a special election in February 2014 to replace the resigned Bob Filner. 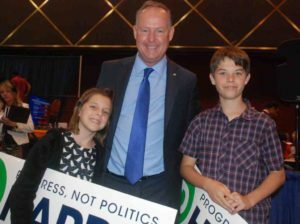 “The fact that we did so well in every single portion of this city only reaffirms what we have been doing over the last couple years, which is bringing this city together, bringing all neighborhoods together as one San Diego, and ensuring that we’re giving everybody their fair share of city services,” Faulconer told supporters. “It’s not about Republican, Democrat or independent — it’s what’s the right thing we should be doing for San Diego,” he said. 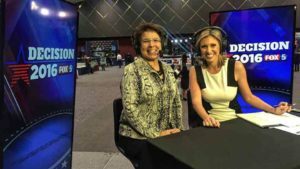 While Faulconer was thought to have an advantage over his rivals, an increase in Democratic voter registration in San Diego raised the question of whether he could muster enough support to win re-election outright or be forced to a November runoff. 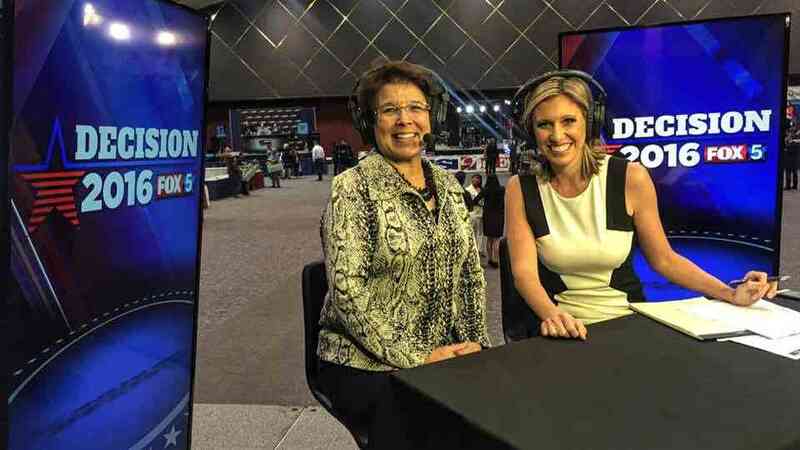 The mayor is a Republican, while Harris is a Democrat and Saldaña is a former Democrat running as an independent in the technically nonpartisan race. Saldaña, who served in the Assembly from 2004 to 2010, posted a message on her campaign’s Facebook account thanking her supporters. Saldaña left the door open to further political pursuits. 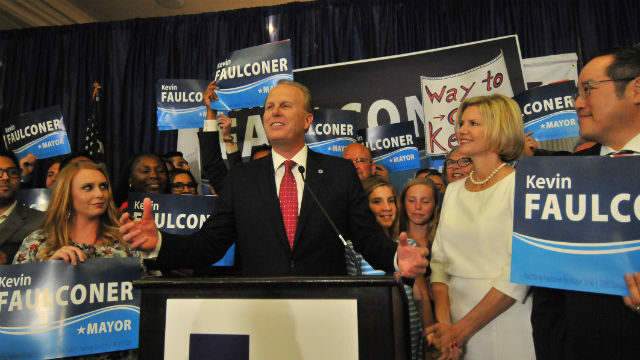 As is typical in a race with an incumbent, the election was a referendum on Faulconer’s performance over two-plus years. While he boosted municipal services during good economic times and devoted more money to badly needed road repairs, he caught flak from Chargers fan groups for refusing to endorse, or oppose, the team’s plans to build a downtown stadium and convention center annex. The leaders of the groups contend the mayor is beholden to downtown hotel owners who would rather expand the convention center at its current site. Faulconer also faced recent criticism for staffing shortages among San Diego police dispatchers that resulted in sometimes long delays for 911 callers. His budget for the upcoming fiscal year proposes spending $652,000 to hire additional dispatchers. For Harris’ part, he recalled his career as a Marine, plus “26 years on the beach,” his time as a test diver and also diving teacher in Tahiti and the West Indies.